Is the future of radio being interactive? Astral Media thinks so. All of the radio station websites today boast a new graphic interface that displays Astral Radio’s creativity and innovative spirit. Radio hosts at the 83 Astral stations across the country can now create a unique experience on air and online, as well as provide an interactive environment conducive to live interactions with listeners through relevant content discussed on air during their shows. In Western Canada, the Cutest Baby Contest on Vibe 98.5 also enjoyed a huge success with over 5,500 participants who registered online via the radio station’s website to upload a picture of their little sweetheart. Over 570,000 users (400 per cent more than the previous year) visited the site and voted for their favourite cutie. via ASTRAL MEDIA INC. | Astral Radio Creates a Unique Experience for Listeners with Its New Interactive Platform. Astral Radio’s new interactive platform also provides local and national advertisers with the possibility of building even more engaging interactions with their customers. Thus advertisers can leverage new innovative ideas for fully integrated, multiplatform campaigns that complement each other. With these new high-performance tools, such as cyberreporting, geotargeting, cyberevents, as well as other interactive tools and games, hosts can now interact with a narrowly targeted clientele, engage listeners to share an exhilarating experience, receive a comprehensive analysis of the targeted clientele’s demographics, and achieve better results. For example, a house builder recently used Astral’s cyberreporting to promote his product on air and on the web. Listeners could go to 102.9 K-LITE FM’s site for a virtual and interactive tour and take advantage of the builder’s exclusive offer. As well, a retail business leveraged the cyberevent on Virgin 98.5’s airwaves to promote products and invite listeners to select different pieces of clothing to create a virtual fashion show. What’s more, the new and unique interactive platform allows the quick and efficient deployment of a campaign across the country. And this is the big part of the announcement. Sure, being able to run contests more easily and with more interactive content is ducky, and listeners certainly will dig it, but it isn’t listeners entering contests that will earn a station money, it’s advertisers paying for ad time and space that pays the piper. It’s a double-bonus whammy of awesome here. Listeners get websites that look better, have interactivity to enter contests, and connect with hosts. Advertisers get targeting, reporting, and cooler ads to connect with listeners. 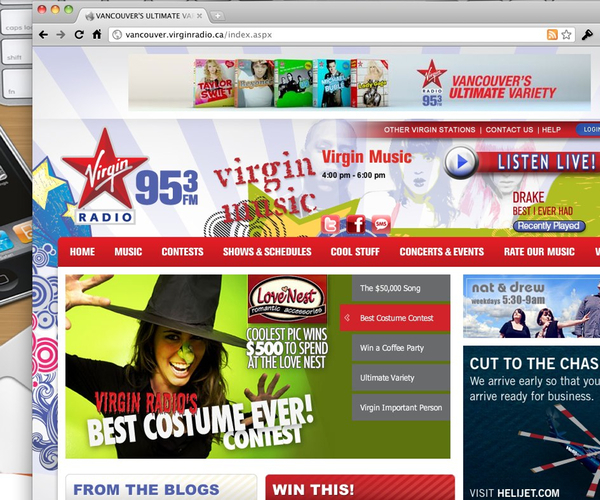 I wonder if there is time to enter the Virgin 95.3 contest for best Halloween costume. 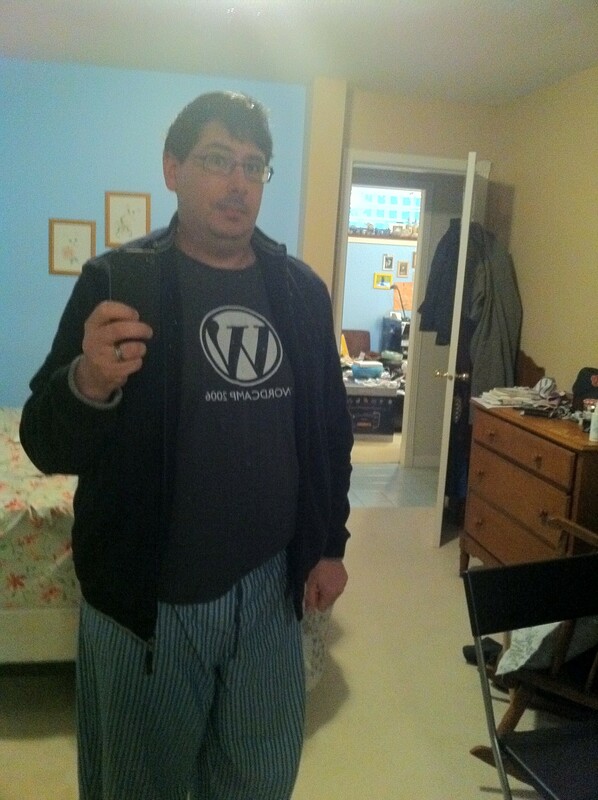 I’m a work-at-home, tech journalist and author. Read next: Have we already caught up to science fiction?